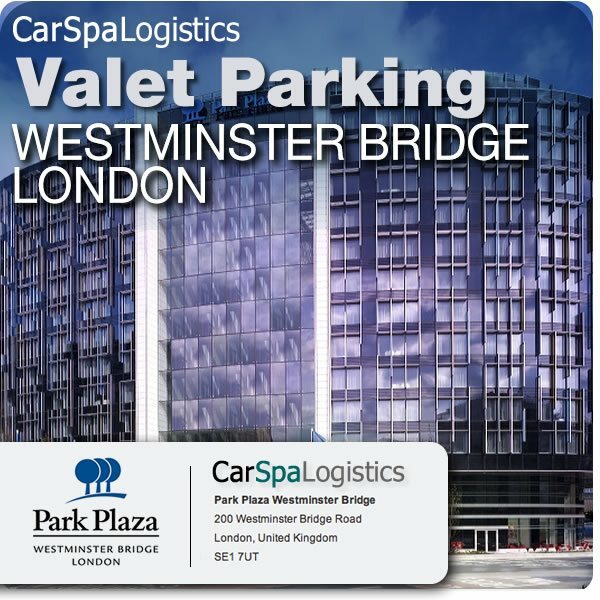 We, Car Spa Logistics are the official valet parking company for Park Plaza Westminster Bridge London Hotel. We are a third party company assigned by Park Plaza Hotel Westminster Bridge to provide valet parking services to which the hotel accept no liability. Our operating hours are 6am to 12 midnight 7 days a week. For special events these operating hours can be extended by prior arrangement and costs agreed. There is no charge, minimum waiting time is up to 1hour.